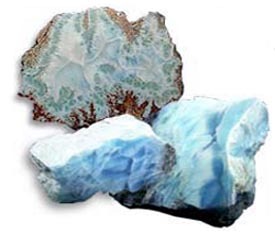 Found only in the Dominican Republic larimar is a very special semi-precious stone. Beautiful and intriguing this unique gemstone now provides the basis for the creation of lovely larimar jewelry. A larimar ring, larimar earring set, larimar bracelets or pendant - can become that singular special keepsake from your Dominican Republic vacation. In the deepest south-east of the Dominican Republic lies the Sierra Bahoruco. This ancient mountainous region is bounded on one side by the Parque Nacional Jaragua (and thereafter the Caribbean Sea). On the other side, the land falls away to lowest point in the Caribbean (at 46 meters below sea level!) 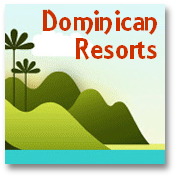 and there is a strange combination of geographical features – a terrain of barren, scrubby desert and, close to the border with Haiti, the largest inland body of water in the DR – Lago Enriquillo. A few disparate towns dot the rugged landscape. As the massive lake, over 40 kilometers in length, simmers in the Dominican sun it provides sanctuary to huge flocks of flamingos and other Dominican bird life. At the heart of Lago Enriquillo diminutive Isla Cabrito sits like a miniature 'Jurassic Park' Island being home, as it is, to a large population of iguanas. The Bahoruco mountains were the first part of the Island of Hispaniola to emerge from the sea around 100 million years ago during the volcanic formation of what was much later to become the Dominican Republic. In the extreme heat of this volcanic activity certain minerals were fused into colored 'concretions' which were identified as 'pectolites' in the first quarter of the 19th century by Franz ritter von Kobell, a noted German geologist. Through the combination of volcanic activity, cooling, erosion and other effects of the weather some of those rocks that found their way into the Bahoruco river were polished to a strikingly colourful brilliance as they were swept along the sandy riverbed towards the sea. Noticeable particularly for their bright turquoise appearance these blue pectolites are peculiar to this region of the Dominican Republic. It was only as recently as 1974 that a visiting member of the US Peace Corps, Norman Rilling, along with local Dominican, Miguel Méndez first came upon the most significant supply of blue pectolite near the town of Los Chupaderos, a few kilometres from the City of Barahona in the South West of the DR. As a result of this discovery the semi-precious stone was 'christened' the more attractive name of 'Larimar'. This name was derived from part of the name of Miguel Méndez' daughter (Larissa) combined with 'mar' (the Spanish for sea) due to the fact that the original pieces of the gemstone were discovered along the sea's edge - thus was 'born' unique, and naturally beautiful Dominican Republic larimar. Interested in gems and jewelry in general? 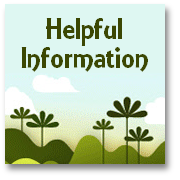 Please visit our Diamond Information web pages, too! and useful links and contacts for diamond ring lovers! Since this discovery Dominican Republic larimar has mostly been 'mined' from the naturally occurring 'chimney-like' shafts of long dead volcanic openings (from which once spouted hot lava and searing gases, extreme heat that was critical to the formation of this particular type of pectolite). For, although there is evidence (in the form of some items of much earlier Dominican Republic larimar jewelry) that the stone had been occasionally used before by much earlier inhabitants, this unique resource had previously been little exploited. Today Dominican Republic larimar, this rare, semi-precious material is hacked out of the sides of tubular volcanic shafts barely wide enough for a man to work in, then cut and polished to a startlingly brilliant hue. The resultant gems, no two of which are exactly alike, are used in a variety of distinctive Dominican Republic larimar jewelry. For the lucky few such jewelry, often made of silver set with unique larimar gems, makes a gift from the 'dawn of time' that provides an everlasting memento of their Dominican Republic vacation. 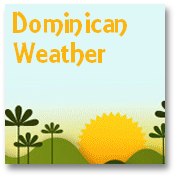 Don't forget that you can find more information about - where to go, what to see, and what to do - when planning your visit to Santo Domingo, here. 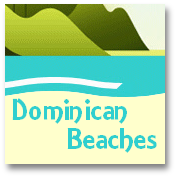 amongst the visits you could include a trip to one of a number of Larimar Jewelry workshops - or to the Santo Domingo museum where both Dominican Republic larimar objects from an earlier era, and Dominican amber are on show. 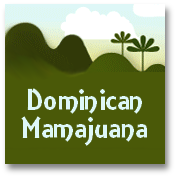 You can also discover more about the Dominican Republic's other, perhaps rather more famous semi-precious gem here on our - Dominican Republic amber jewelry page. 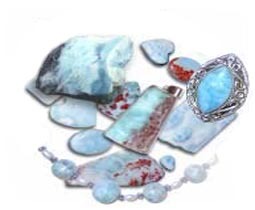 larimar jewelry on offer in current Dominican Larimar eBay listings below. Meanwhile, if you want to know more about the rare, semi-precious gemstone - unique Dominican Republic larimar - feel free to contact us with your query.